Compared to the Rivo 2, the Kettler elliptical crosstrainer Rivo 4 offers a larger stride length and hence a more comfortable running ellipse. 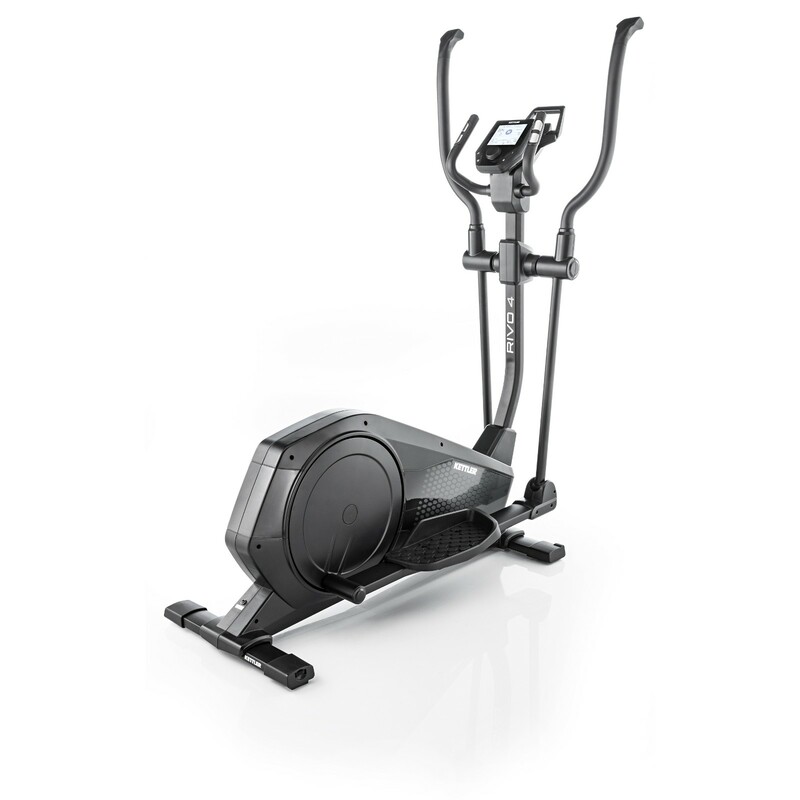 Thanks to the balance mass of 14 kg, the concentric run is smooth and gives the user a good running experience. The running position can be individually adjusted thanks to the adjustable treads - and hence you can find the optimal position of your feet and legs. The ergonomically shaped arm bars offer a multitude of grip possibilities due to their curved shape and train the whole upper body. Using the easy-to-use training computer, you can quickly and intuitively set the training programmes or change the parameters while exercising. 10 prorammes are available (including a heart-rate oriented programme). Via the editor, you can plan individual sessions and configurate them according to your needs. All necessary training paramters as for instance heart rate zone, speed, and covered distance, are permanently and clearly displayed during the training. With the built-in Bluetooth receiver you can connect the Rivo 4 with KettMaps or with Kettler World Tours 2.0. Kettler elliptical crosstrainer Rivo 4 add to comparison list.